Enterprise Bluetooth Low Energy complements CenTrak’s other proven Clinical-Grade RTLS locating technologies to offer the most diverse and comprehensive locating portfolio. (Newtown, PA – February 18, 2015) – CenTrak today announced that Bluetooth Low Energy (BLE) has been added to its widely adopted Clinical-Grade RTLS platform, with the first installations occurring this month. This patent-pending fully integrated BLE technology offers a uniquely well managed and dependable architecture. BLE has an increasingly ubiquitous presence on smartphones and other mobile devices, and offers the ability to incorporate embedded BLE technology available through other infrastructure providers. This feature enables an immediate dialogue between CenTrak’s RTLS and nonproprietary devices. Many of the attributes of the BLE standard will be available to end users utilizing CenTrak’s RTLS, through valuable applications offered by CenTrak’s solution partners. In keeping with CenTrak’s open architecture philosophy, partners and end users can use the BLE technology alongside the many other technologies that make up healthcare’s only Clinical-Grade RTLS™, such as Wi-Fi, UHF RF, Low Frequency (LF) and Second Generation Infrared (Gen2IR™). 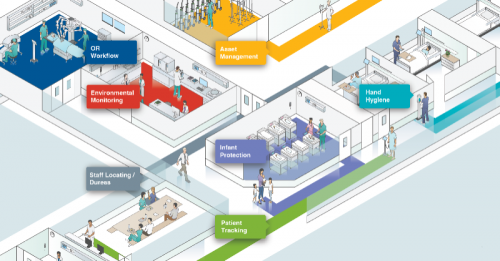 CenTrak has organized an efficient upgrade path for the 550+ healthcare facilities currently utilizing its Clinical-Grade RTLS in North America, Asia, Europe and the Middle East. “We are eager to embrace all new technologies that improve functionality and subsequent utility of our location services. The complexity of locating assets, patients, staff and now visitors in the healthcare environment requires a fully integrated combination of diverse technologies to achieve maximum benefit”, said Dr. Ari Naim, President and CEO of CenTrak.“We expect announcements to be forthcoming from our solution partners describing some of the innovative ways that they intend to leverage the BLE technology”. CenTrak’s Bluetooth Low Energy (BLE) Technology will be featured at HIMSS15 in CenTrak’s booth #4609. Clinical-Grade RTLS™, Clinical-Grade Visibility Solutions™ Clinical-Grade Locating Solutions™ and CenTrak® are registered trademarks of CenTrak Inc.